A lean and full-flavored prime cut of short loin, slightly firmer than a ribeye, but tender as can be. 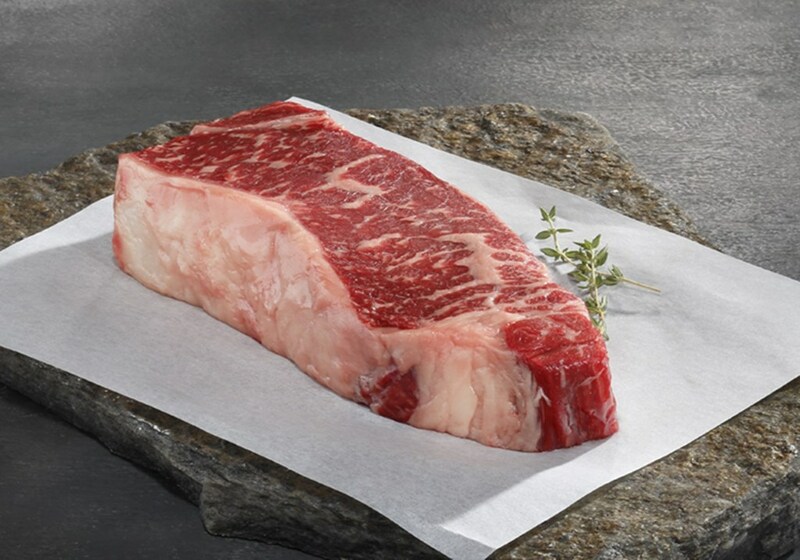 These 30 day aged angus beef sirloin steaks are full-of-flavor, boneless and juicy. Guaranteed to be the steak-lover's favorite! In large bowl, mix all ingredients (except steaks) well. Place steaks in the bowl; allow to marinate at least 30 to 60 minutes. Cook on grill to taste. Bring the steaks to room temperature and season each side generously with salt and pepper. Heat a heavy skillet large enough to hold all 4 steaks, over medium high heat. Add the butter and when it begins to foam add the steaks. Cook for 3 minutes, or until the bottoms are nicely browned. Turn the steaks and cook the other side for another 3 minutes for rare. (Add 2 Minutes for the thicker steaks per side) Transfer to a warm platter and cover with aluminum foil. To make the pan sauce, lower the heat to medium and add the shallots to the skillet. Cook stirring for about 1 minute. Remove the pan from the heat and add the whiskey and scrape any browned bits from the bottom of the pan. Return the skillet the heat, add the chicken stock and Worcestershire sauce and bring to a boil. Whisk in the mustard and then the cream and simmer whisking until the sauce is reduced to a syrupy consistency, 2 to 3 minutes. Return the steaks to the skillet and add any steaks juices to the skillet. Warn the steaks and pour some sauce over them . "Thees steaks are soooo good. Always tender, moist and flavorful."